Mary Mills, from Barrow-on-Trent, is now based back at home in the UK but still very much involved daily with all she was doing over there, together with her Ethiopian “son”, Moses Duche. She attends St Stephen’s Church, Sinfin, Derby. One of her main targets now is to raise awareness – and hopefully funds – for a much-needed clinic in the rural village of Namusaala, Kayunga District, about three hours’ drive from the capital, Kampala. Mary and Moses became increasingly involved with the plight of many sick and disabled children, whose conditions could not easily be addressed medically due to lack of local facilities. Mary says: “The cost of transport to a town is often prohibitive to families who are mainly subsistence farmers, living largely a hand-to-mouth existence. We ran a sort of ‘taxi service’ for them with our car, working together with the local pastor. “Many disabilities are caused through difficult births and we encountered many children with cerebral palsy. All kinds of sicknesses presented themselves constantly – hydrocephalus, spina-bifida, paralysis following accidents, many birth defects, malaria, vaccine damage – the list is endless. “Early intervention can do so much to alleviate suffering and a well-run village clinic can meet many needs – giving advice, ante-natal care, treating minor ailments and referring patients on to more specialised help in severe cases. “We already have the premises – a disused Secondary School, in a roadside position, belonging to our former neighbour, Rev Canon Captain Titus Baraka. 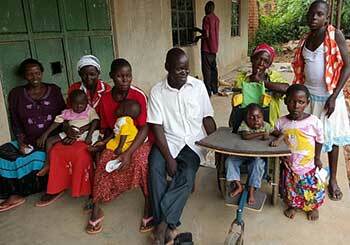 He has his own Registered NGO in Uganda – Bethesda Ministries – and the clinic would be under this ‘umbrella’. At present we are conducting mobile clinics in the area, with qualified volunteer helpers. “One child of many, whose lives have been transformed, is Solomon. We found him living in a chicken hut by the roadside. He has cerebral palsy, is deaf and dumb, unable to walk and double incontinent – hence being banned from the main family home. "He was always naked and did nothing but crawl around in the dust all day around his hut. I thought he was a rock when I first saw him! We used to stop by and give him a whole packet of biscuits, and he came to recognise us and our green car. “I told an English Missionary friend I knew about him, who runs a Centre for Disabled Children. She said she would come and visit him and as soon as she saw him she said ‘He’s coming back with us – today!’ There was no resistance on the part of his parents! 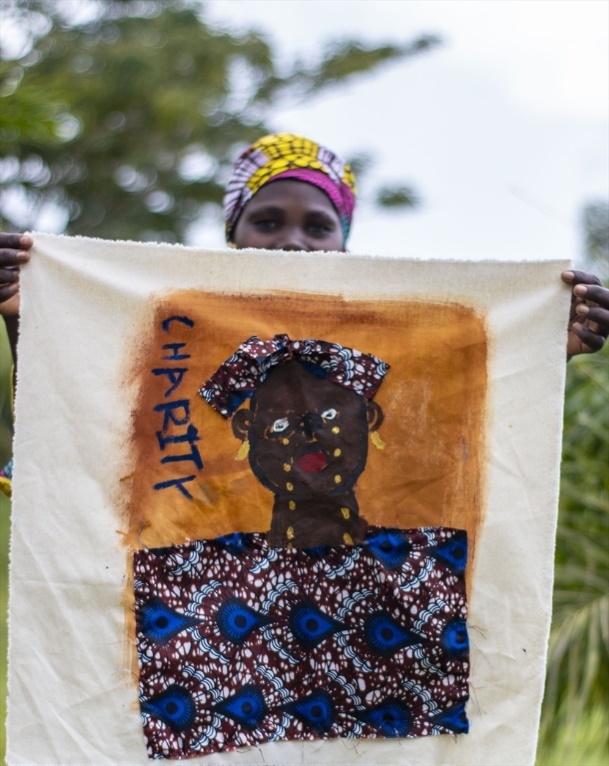 Mary has linked up with The Cherish Fund Trust, a UK registered charity (No: 1012868) helping children in Africa, particularly in Sierra Leone, Malawi and Uganda. She is partnering with them to fund-raise for the clinic. Find out more at cherishfund.org.uk or contact Mary Mills for more details: maryrmills1@googlemail.com, Tel 01332 703620.